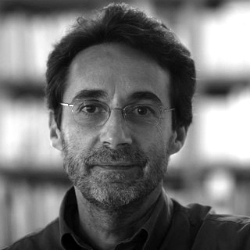 Professor of Political Science at the Universitat Pompeu Fabra (Barcelona), where he is director of the Research Group on Political Theory and the Research Group of Political Science and has been Director of the MA on Political Philosophy and the MA on Diverse Democracies: Federalism, Nationalism and multiculturality. He has also been in charge of the PhD-programme on Political Science (several editions). His main fields of research are theories of democracy, federalism, multinational democracies, political theory and political liberalism after World War II. In 1997 he was awarded the Rudolf Wildenmann Prize (research, ECPR), in 2002 he received the Ramon Trias Fargas Prize, and in 2006 the Spanish Political Science Association Prize to the best book (Multinational Federalism and Value Pluralism, Routledge 2005). He has been furthermore member of the Spanish Electoral Board (Junta Electoral Central, 2004-2008), of the executive committee of the European Consortium of Political Research and of the Comparative Federalism Research Committee (International Political Science Association). He is currently member of the National Transition Advisory Council (Catalan Government) He is a regular contributor to the newspapers “La Vanguardia” and “Ara” (Barcelona) and other Catalan, Spanish and international media. Among his recent books are: politics of Religion and Nationalism. Federalism, Consociationalism and Secession, Routledge 2014; Democracy, Law and Religious Pluralism in Europe, Routledge 2014, Federalism, Plurinationality and Democratic Constitutionalism, Routledge 2012; Federalism beyond Federations, Ashgate 2011; Federalism and Plurinationality. Theory and case analysis, Routledge 2011; La legitimidad en las democracias del siglo XXI. Un giro hegeliano, Lap Lambert 2011; Political Liberalism and Multinational Democracies Routledge 2010. More information in www.ferranrequejo.cat (contact: ferran.requejo@upf.edu).